29 Kenfield Cir. 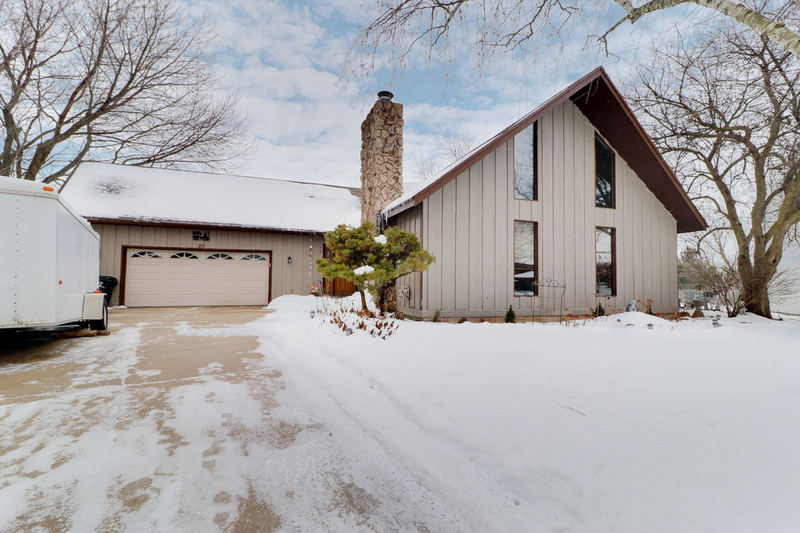 Bloomington, IL 61704 – SOLD in 1 week! Unique Custom Style Home on 2nd Largest Lot in Rollingbrook! No back neighbors! Spectacular tile work and beautiful Georgia Pecan Hardwood Floors. Beautiful 6 panel doors. Solid concrete counter top in Kitchen w/ breakfast bar. The first floor features 2 Bedrooms w/ full bath, Huge laundry room with sink, laundry closet, & access to fenced backyard, Large living room w/ vaulted ceilings and woodburning fireplace, Formal dining room, and Kitchen. Double doors guide you out to the pergola covered deck – great for entertaining! When the snow melts you’ll find a little water feature just waiting for your addition of Koi Fish! 2nd floor loft looks over the living room and has built-in bookshelves for your collection of any kind. Master suite includes walk-in closet and full bath, plus large window looking out to the spacious yard! Finished basement offers half bath, 2nd fireplace, family room, wet bar, and workout room OR bedroom no window! Storage galore, too. Come look!! 3/4in Hardwood, Solid Concrete Countertop in Kitchen, 2nd biggest lot in neighborhood, Garbage Disposal Brand New, Fridge and Waterline to Fridge are currently unplugged since house is vacant but they do function, HVAC w/in last 10yrs (seller leaving 4yrs worth of furnace filters), Roof less than 11 years old w/ 30yr Shingles, Water Shutoff is in the basement under the bench by the Bar, Avg. utilities for both gas and electric is under $100/mo, Water/garbage around $65/mo. HVAC has a humidifier and an adjustable fan – you can control where the airflow goes and at what percentage (they pushed colder air up to 2nd floor bedroom in summer).